Universal tray-style design easily converts from angled to flat position to hold standard dumbbells. Shown with optional add-on third tray. 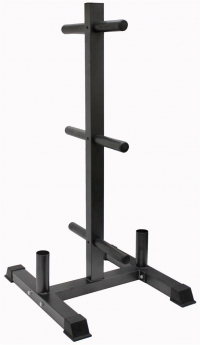 Storage rack for CLC-385 Leg Developer and CPA-316 Preacher Curl.